Today’s Reflecting Light is written by Adrienne Bridges, who has the most beautiful heart for the Lord. She is also committed to teaching her two precious daughters to know and love Him as evidenced by this post. 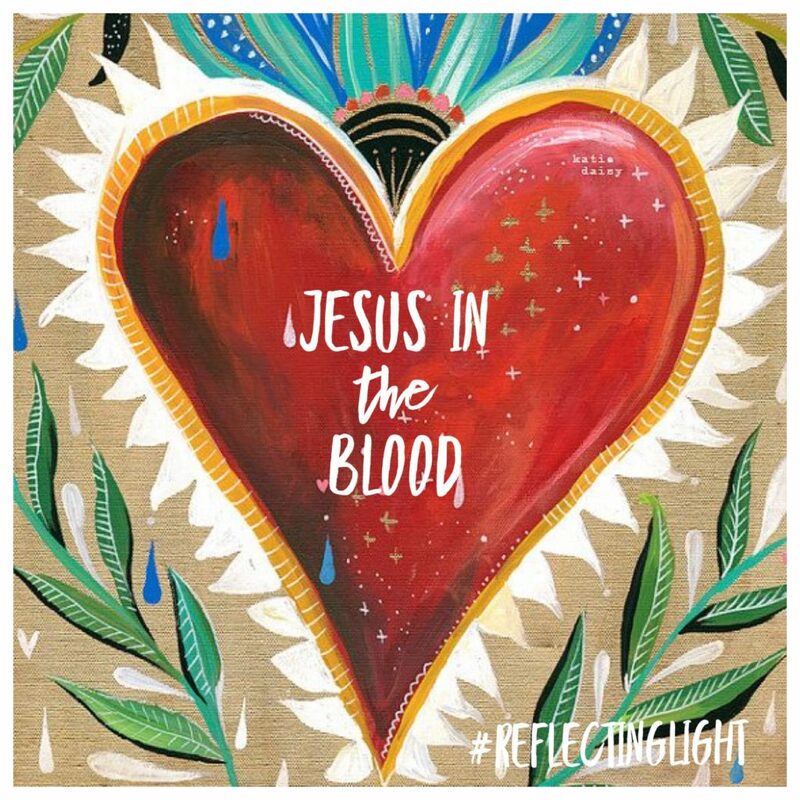 Her story is such a sweet reminder of how far and deep Jesus’ presence goes…into our very bloodstream. I tucked my lively three-year-old into bed one evening encouraging her to get some rest. Declaring she was not tired she firmly hugged my neck, insisting I linger in her bed a little longer. Ordinarily I would offer music or a nightlight, but this night I reminded her of Jesus’ presence simply being near. I assured her that He is near both of us, ready to hear all about our day even though we did not physically see Him. It was then my larger than life toddler responded, “I know where He lives, in my blood!” As my initial gasp regained closure from the word blood coming out of my pint-size daughter’s mouth, I realized the depth she had revealed. She then went on to say, “He lives in my heart and it goes to my blood.” Wow. Thank you, little prophet baby. How true her statement is! When we ask Jesus to come into our heart and allow Him to reign over our souls, His Holy power infiltrates all our being, bearing His goodness. Jesus’ sacrificial blood isn’t secluded to one region of our heart nor should it be contained just within our mind, but rather our overall life. Yet, sometimes we forget this concept and only allow Him to work within the areas we are comfortable in. Allow that love to sink in. Reflect on His offering to us. He desires to simply be near to us at all times. Whether it’s at an 8:00 pm bedtime or a 2:00 am struggle, He is a calming presence for both a restless toddler or an adult battling a carrying force during the darkest hour in life. He desires to communicate with us in every aspect of life, be it a work decision or guidance with a family member. May we rest in that and allow Him to reign over ALL of it. May we also have the mindset of a toddler, reflecting that His life starts in our heart and flows into our blood. 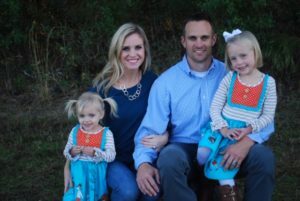 Adrienne has been married to Matt Bridges for nearly 10 years and is mother to Neely (age 6) and Camille (age 3). She loves mornings with God’s Word, a cup of coffee anytime of the day, her crockpot, grocery shopping, and the joy of making memories during this chaotic season in motherhood! Such a strong word!! Thank you for sharing!!! Adrienne, “out of the mouth of babes”, and into the listening ear of a mother filled with Holy Spirit to so quickly pick up what Camille was saying. That was beautifully written and thank you for sharing that tender moment with the rest of us!